Tired of your wimpy looking eyes with eye-bags underneath? 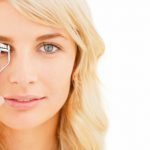 Now, from eradicating the dark circles underneath your eyes to lengthening your scarce eyelashes, there are easy solutions provided by beauty experts and top notch pro’s as to how you could troubleshoot unattractively smaller and tired eyes in a jiffy! It is not a whimsical and a romantic quote when somebody says that ‘eyes speak in volumes, even more than the words or actions’. Eyes are the most expressive part of us Homo sapiens which really is a projection of one’s inner self. So do not be disheartened if you have eyes lacking luster and which seems too tired at times. 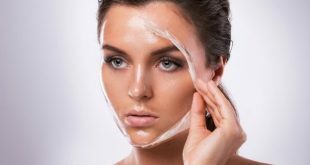 Here are few tips which would help you in rejuvenating your eyes and in making them look much more bigger, brighter and gorgeous. 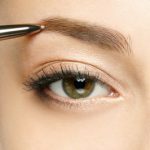 Try stenciling your eyebrows- Before using tweezers to tweeze the unwanted hairs of your eyebrows, it is recommended to mark those unwanted hairs using a beige eye pencil so that you get a concrete idea of the hair you would be plucking and hence do not over-pluck, which could make your brows look like a gross mishap. Lash out with a Mascara- To get super curly, thick and longest eyelashes, lash out with a magic wand: your Mascara. Use the mascara wand and apply it on the tip of your eyelashes and sweep it upwards to get long lashes. 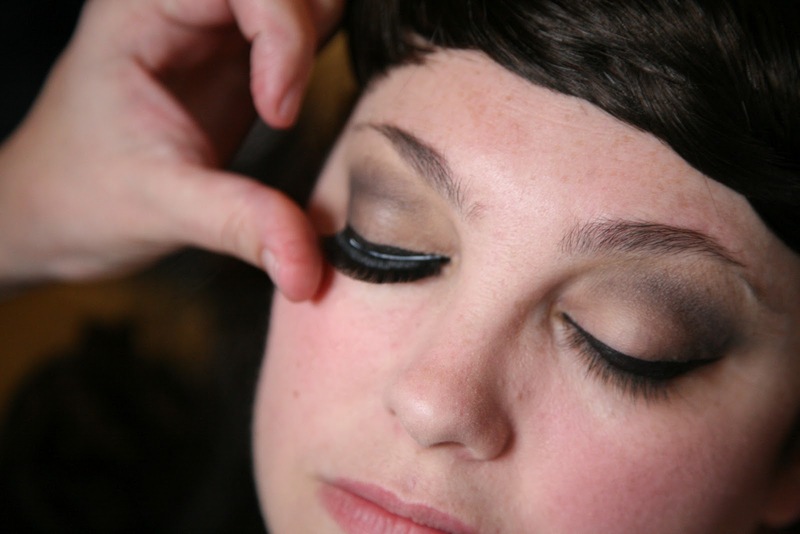 In order to get thick eyelashes, apply after some time the mascara at the base of the lashes in right to left strokes. This would make your lashes look more prominent, long and thick. 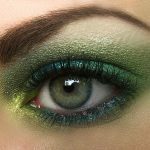 Twin Eye Shadow- If you use two different eye shadow hues belonging to the same color group, it would give a totally different dimension to your eyes. It makes your eye looks more glitzy and brings out its beauty more. 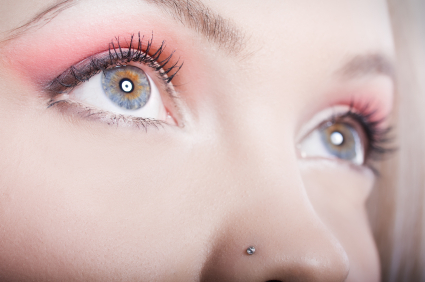 Pop and lock- To get eyes as beautiful as a doe, try concentrating more colors in the middle of your eyelashes. Apply a thick line on the top lashes and make it fade while tapering down. This would emphasize your eye shape much more. Blue Hue- Try experimenting more with blue colored eyeliners. The calm and cooler colors would make the whites in your eyes disappear and make your eyes much more brighter. 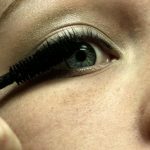 A second dash of Mascara- Go for a second dash of mascara on your top eyelashes as it efficiently gives a lifting effect to your otherwise droopy eyes. Try to buy mascaras whose wand brushes have angled bristles so that it gets to each hair of your eyelashes. Use curlers- Place curler at the root of your eyelash and gently shut it three times. Then sweep the curler halfway upwards and repeat the motion. This is done so that instead of getting a funky crimp, you obtain a natural curl. 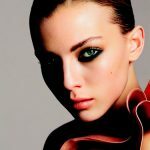 Lessen the Crease- Follow the crease near your eyes by applying eyeliner along the contour of the crease so that it lessens the creases and makes your eyes look less tired and creased. Use lash lacquer- After applying the mascara, use a dermatologically tested top coat so that your eyes look more brighter, kohl-black and shiny. 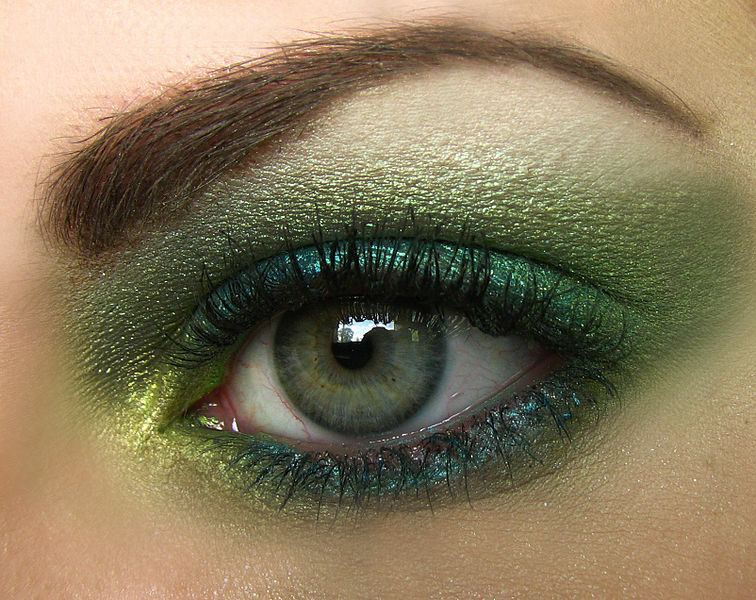 Rule thumb for eyes- The rule says that if you have green eyes, then warm sandy shades would suit your eyes more. If you have brown eyes, then pink and gold hues would complement your eyes. As for the rest, blue shade works the best. And never forget to curl your eyelashes because everybody says so, but only few implement it regularly. The Kohl effect- Just trust a kohl to bring life into your eyes immediately. Apply soft kohl eye pencil which makes your eyes look more prominent and gives it a doe-like appearance, exactly like those mysterious heavily kohl-ed eyes of Queen Cleopatra. Do not overdo- Use light hues on your eyes if you are wearing glasses because it draws more attention to the shape of your eyes. Brighten up- In order to make your eyes look more exaggerated go for brighter eye colors instead of giving smoky eye effect as it tends to make eyes look a little smaller for some people. So go with the swing and make your eyes look more glitzy! 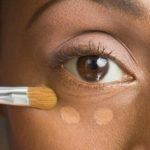 Go for Peach- If you have under eye circles, try using eye make-up containing more of Peach and pink shades as they efficiently conceal the under-eye circles. 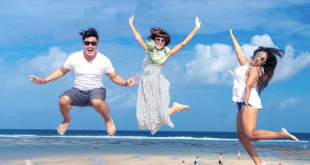 If you have blue tones, they can be camouflaged with orange undertones. 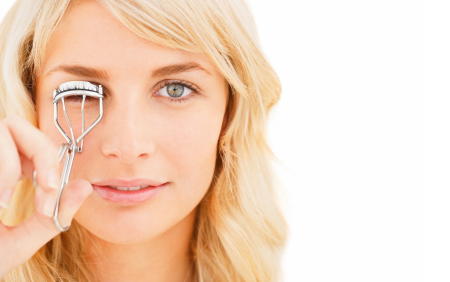 Avoid cheap eyelash curler- Make sure to use a good quality eyelash curler so that a harsh curler does not break the hair follicle of your lashes. 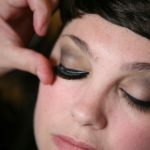 Make up sponge- After applying a concealer around your eye, use make up sponge to buff even out any glob. With the help of the sponge, blend all the lingering foundation so that your skin and the areas around your eyes look impeccable. Eye brightner- Do not hesitate to use eye highlighter the illuminate your eyes more. Take note of the line- Whatever eye shades and products you use, make sure to apply them on the lash line. This helps in enhancing the size of your eyes. 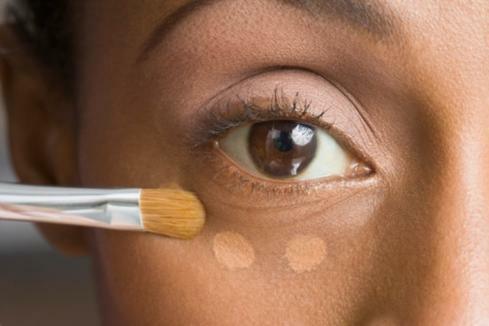 Use creams- As winter approaches, make use of cream-based eye shadow so that you do not get flaky eye lids. If you use these eye shadows instead of applying concealer around your eyes, it would not crease much. Be natural- If you want to make your eyes pop more, apply pearl-colored eyeliner at the corner of your eyes to brighten it up more. 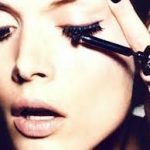 False eyelashes- Never hesitate to use false eyelashes because there is a reason that they are so famous. On dotted lines- after applying mascara, fill up the sparse spots using a liquid eyeliner to give it a more complete look. 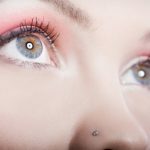 So, to be the Belle of the Ball with beautifully fluttering eyes, try the above mentioned tips and tricks meticulously to get enhanced eyes and be the envy of all!